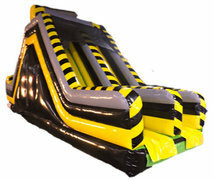 Inflatable dry slide rentals are a great choice for locations where water use is not appropriate. 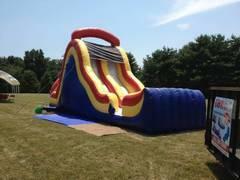 These giant slide rentals are every bit as exciting as their wet cousins and will be perfect centerpiece attractions at any event. Make sure to check the sizes because these guys are big, and you'll want to make sure your party space has the room required. Browse the selections below and click on the title or image for more information and to make a reservation.